A U.S. military aircraft en route from Bahrain to the United States crashed Oct. 21 in farmland in the east of England, killing the pilot, British police and U.S. military sources said. Canada will see a major shift in defense policy with the election of a new Liberal Party government and its planned withdrawal from the Iraq coalition air campaign and the U.S.-led F-35 program. General Dynamics’ light armored vehicle has taken to the U.K.’s highways to prove its ability to meet an upcoming British Army requirement for a mechanized infantry vehicle. Bell Helicopter expects to secure its first export contracts for its series of H-1 utility and attack helicopters in the Asia-Pacific region in the next 12 or so months and further regional orders for the V-22 tiltrotor in about the same time frame, a company official told IHS Jane’s Oct. 20. The CF-18 has been Canada’s only fighter jet since the CF-5 Freedom Fighter retired 20 years ago. Canada has been part of the F-35 project since the 1990s, and officially became a program partner in 2002. Canadian companies supply parts for the F-35. The Navy’s most recent shipbuilding plan does not meet the capability requirements that are necessary to carry out combat missions in the Asia-Pacific, experts said Oct. 20. Lockheed Martin expects to finalize its $9 billion acquisition of Sikorsky by year’s end, pending a regulatory review in China, company officials say. A top ranking U.S. senator slammed Canadian Prime Minister-elect Justin Trudeau’s plan to abandon the F-35 joint strike fighter, less than 24 hours after elections handed the reins of power to the leader of the Canadian Liberal Party. 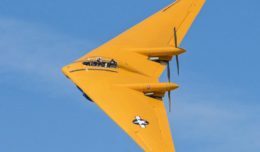 The Pentagon has scheduled a briefing with Air Force acquisition head Bill LaPlante for tomorrow, but that doesn’t mean the bomber contract is going to be announced any time soon. As Defense Secretary Ashton Carter continues his outreach to the high-tech industry in Silicon Valley, the Pentagon has to figure out how to channel entrepreneurial talent into the national security arena, Raanan Horowitz, president and chief executive officer of Elbit Systems of America, said Oct. 20. DCNS filed a draft proposal at the end of September and aims to submit a final offer at the end of November in Australia’s tender for a new class of attack submarines, reported to be worth $36.3 billion, a spokesperson for the French naval shipbuilder said. Airbus has named Siemens executive Dirk Hoke to succeed Bernhard Gerwert as chief executive of Airbus Defence and Space next year, reaching outside the company to succeed a 36-year veteran of the company. The Air Force has awarded Rolls-Royce a $36 million contract to begin upgrading its fleet of C-130 transport planes, the company announced. The first F-16 fighter aircraft fitted with an AN/APG-83 active electronically scanned array radar made its maiden flight on 16 October, Lockheed Martin announced Oct. 21. In the early films, a number of Star Wars blasters were based directly off real-world firearms. In the ‘Force Awakens,’ it looks like director J.J. Abrams might have kept that theme. Here are some below. More than a dozen lawmakers are pressing the U.S. Army to explain its plans to modernize tens of thousands of Humvees slated to make up the majority of the service’s light vehicle fleet through 2050. The crew of the destroyer Ross had a bit of fun Oct. 20, shooting off an interceptor missile from its forward launcher and achieving the first ballistic missile target intercept in a European exercise. Despite billions of extra dollars poured into the agency in the last year and numerous reforms intended to improve veterans’ access to care, whistleblowers and internal documents obtained by CNN reveal some VA facilities continue to grapple with appointment wait times of months or more. Presidential hopeful Sen. Marco Rubio, R-Fla., renewed his attacks on Veterans Affairs Department accountability efforts on the Senate floor Tuesday, part of an ongoing wave of criticism by lawmakers over continued public scandals for the department. NASA has unveiled stunning mosaics of Pluto and its largest moon Charon made up of thousands of faces from the general public. A day after defeating Prime Minister Stephen Harper, Trudeau told President Obama by phone that he would make good on a campaign promise to withdraw Canada’s jets from the U.S.-led bombing campaign against the Islamic State in Iraq and Syria. Canada has committed a half-dozen fighter planes, a fraction of the American air power in the fight. The U.S. and Russia have signed a memorandum of agreement about safe conduct while flying over Syria, but the ongoing mistrust between the two sides means the agreement may have little real-world impact. The president has not explained the full scope of what is at stake. Al Qaeda has already re-emerged. Just two days before the president’s statement, the military announced that it led raids against two Qaeda training camps in the south, one of which was an astonishing 30 square miles in size. The operation lasted several days, and involved 63 airstrikes and more than 200 ground troops, including both Americans and Afghan commandos. The Air Force is facing a pair of budgetary disasters, either of which could have long-term consequences for our nation. Debating which is worse, sequestration or a long-term continuing resolution, is essentially a discussion about semantics. The Department of Veterans Affairs is the second-largest federal agency, with more than 350,000 employees and an annual budget of more than $159 billion. Yet today — more than a year after scores of veterans died while stuck on secret wait lists — mountains of backlogged disability claims, wide-scale construction overruns and a serious lack of accountability continue to plague the agency.